Next time you need light for your campsite, why not go with the super bright solution like Coleman Northern Nova Propane Lantern? It’s perfect for the outdoors and with it, you’ll never have to use a flashlight again or struggle finding your things at night. The first thing to mention is definitely its power. It can produce 3000 lumens of light that can reach up to 107 feet. This impressive feature comes with a rugged design. Also, the metal globe guard will protect the lantern from impacts. Foldable legs are great for easily packing it but they also provide stability on the ground. All these awesome features make Northern Nova the brightest Coleman lantern and perfect for all sorts of weather conditions. 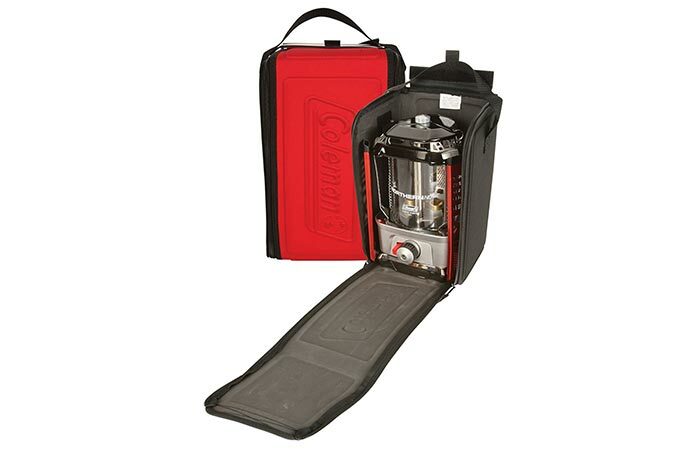 Coleman Northern Nova uses propane cylinders. It can produce an incredible 3000 lumens of light and has a range of up to 107 feet. Thanks to PerfectFlow technology, the lantern will maintain its performance even on high altitudes and extreme conditions. To turn it on, all you have to do is press one button. Because of adjustable brightness controls, you can set the light the way you need it the most. 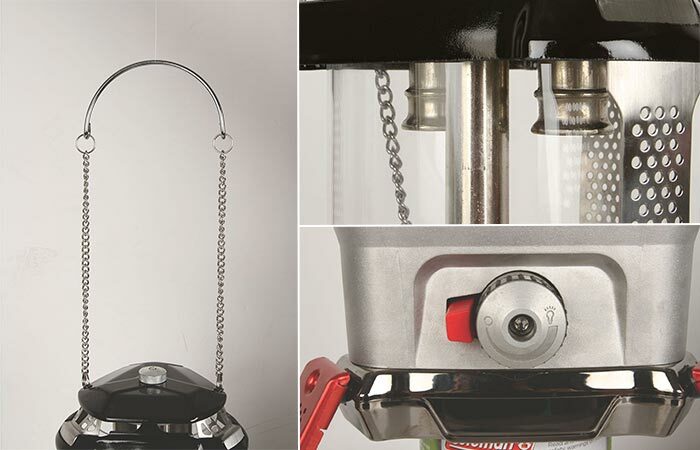 Besides placing it on the floor, you can also hang it using a chain handle. Some of its features include foldable legs, chain handle, and controls for adjusting the brightness. Not to forget to mention that you’ll need a propane cylinder. One 16.4 oz cylinder typically lasts up to 3 hours on the high settings or 6 hours on low settings. The globe is suitable for high temperatures so it can resist heating up and cracking. With it, you get a nice soft carry case. 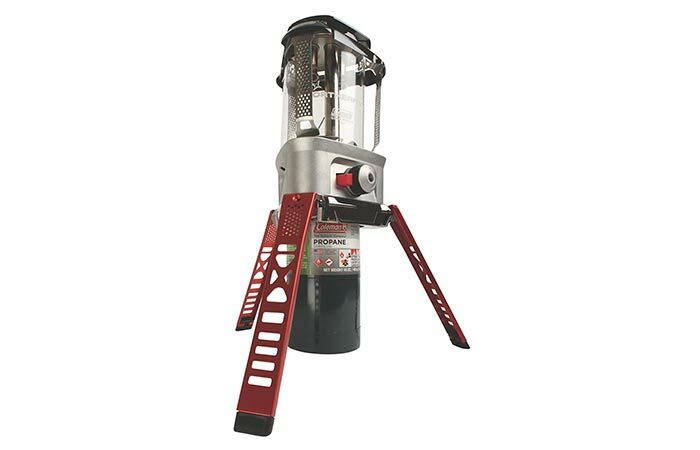 As for the dimensions, Coleman Northern Nova Propane Lantern measures 12.5 x 7.5 x 7 inches. By folding the legs, you’ll make it easy to carry and pack. Also, there’s a nice carry case that fits the lantern and additionally protects it.